Following Stalingrad, most German formations underwent some reorganisations and received new equipment, and that will all be covered in a later book. Iron Cross really zeroes in on the German Army in 1942 and early 1943. The German armoured divisions were built on the backs of tried and true Panzer III and IV medium tanks. East Front Panzertruppen (armoured troops) used the same force structure as their comrades in North Africa, with light companies armed with various Panzer III models and medium companies equipped with Panzer IVs. By late 1942, the Soviet T-34s were very common, so the German panzer divisions in the East had priority to get upgunned and uparmoured versions of their tanks. On a formation level, the panzer company will look similar like one from North Africa, so if you’re a desert panzer veteran, you’ll be able to jump into the commander’s cupola get straight to work. 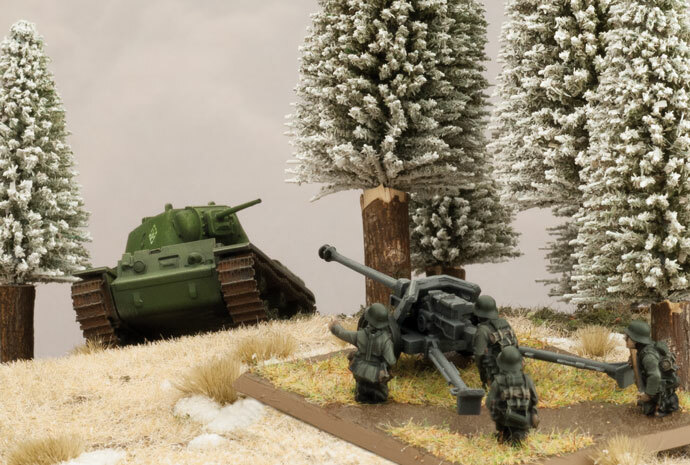 However there are some small differences, such as with the Panzer IV company’s single mandatory platoon, allowing you to supplement a full platoon of the more expensive long-barrelled Panzer IV with another plenty of light support. The other major difference from Afrika Korps panzers are the panzergrenadier and grenadier sister formations that you can take with them, as well as a new suite of support units that we’ll deep-dive into shortly. 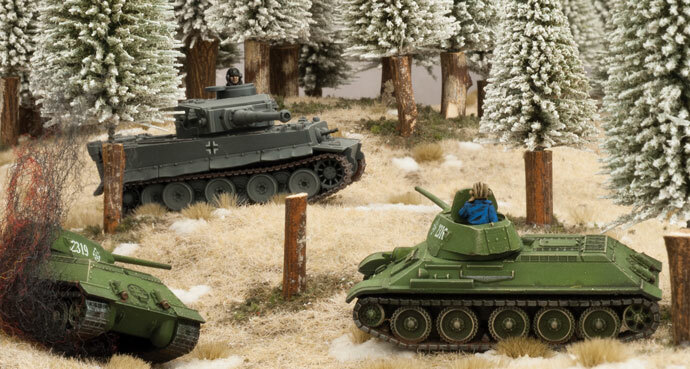 The panzer division’s own infantry is motorised to help it keep pace with the fast tanks. These infantry forces are essential to keep the blitzkrieg moving, dealing with dug-in enemies in cities and strongpoints where the tanks are the most vulnerable. The Grenadier formation can rely on its size and excellent training to get the job done. They have many heavy machine-guns available to them, with one or two in each platoon and another separate sMG34 Heavy Machine-gun platoon to back them up. This will help them see off the human waves that Soviets will certainly throw at them. The formation also has a full battery of 8cm mortars available to give you direct artillery support, further helping the formation to hold ground or soften an assault target. The infantry are not always behind the spearpoint. In places like Stalingrad, specialist assault pioneer infantry were the spearpoint. Armed with submachine-guns, flame-throwers, explosives, and grit, the pioneers storm buildings and strong points with deadly efficiency, thanks to their Assault 2+ rating. As an infantry commander, you will have the option to field some or all of your platoons as assault pioneers, depending how hardened your objective is. Your formation can be reinforced by many new and familiar support units. Arguably the most powerful of these is the Tiger I heavy tank. The open fields of the Eastern Front is this cat’s native habitat, and T-34s its regular prey. Tigers first saw action on this front in 1942 and quickly earned a fearsome reputation as unstoppable. 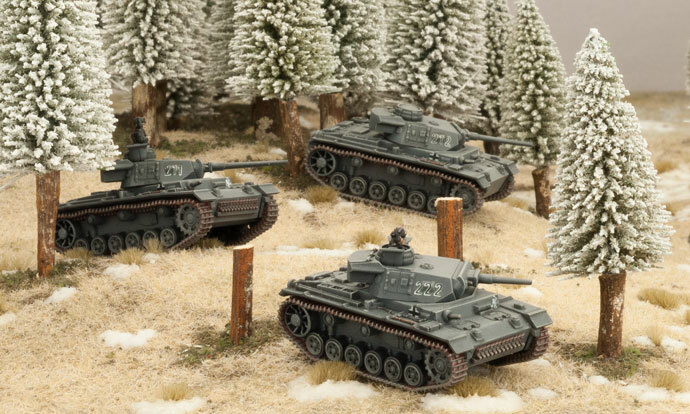 You can take a platoon of these heavy tanks to support your panzer or infantry formation. Also available are the sturdy StuG assault guns. Based on the Panzer III chassis, these tanks have 7.5cm guns in both short and long varieties. Both are solid support options for your formation, depending on what you need. If you need cheap high-explosive guns, then the short gun StuG gives you a cheap, fully armoured option.If you need some high anti-tank guns, then the long gun will better serve your troops. The East Front grenadier has a wide variety of anti-tank guns to bring to bear. The 3.7cm PaK36 is showing its age, but it has two significant advantages. First it’s a small, light gun giving it good cross-country mobility. Second, it has a new special ammunition called Stielgranate (stick grenade). This high-explosive charge is attached to the end of the gun’s barrel. When fired the Stielgrante projectile hits with the general effectiveness of a 7.5cm anti-tank shell. This gives the gun a new lease on life, getting the tank-hunter platoon by until they can be re-equipped with heavier guns. Speaking of heavier guns, your Tank-Hunter Platoons can be equipped with 5cm PaK38 or new 7.5cm PaK40 guns. The arrival of the PaK40 restores the balance of power that was upturned by the Soviet heavily armoured tanks, like KVs and T-34s. In addition to the reliable 10.5cm artillery battery, your formation can rain down screaming 15cm Nebelwerfer rockets onto your enemies. Nebelwerfer batteries use a special Salvo template, spreading the battery’s explosives across a wider area. This is a must-have weapon to help you deal with Soviet human waves. 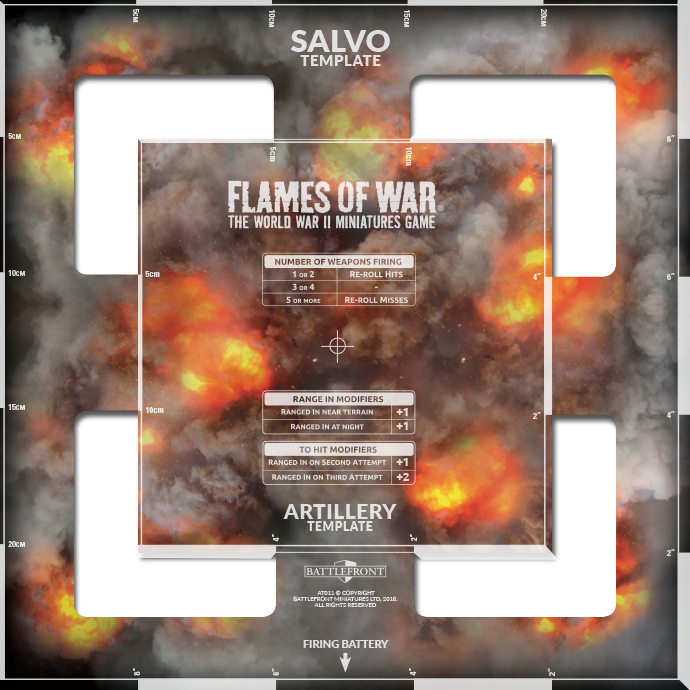 Left: measuring 10" (or 25cm) by 10" this template is huge and should easily cover all but the largest Soviet infantry or anti-tank gun platoon! The Air Force continues to support your formations with 2cm anti-aircraft half-tracks, heavy 8.8cm flak guns, and Stuka attack planes armed with either bombs or cannons. These support units will help keep your blitzkrieg charge relentlessly forward. The most critical battle of 1942, and perhaps of the entire war, took place on the bloody streets of Stalingrad. 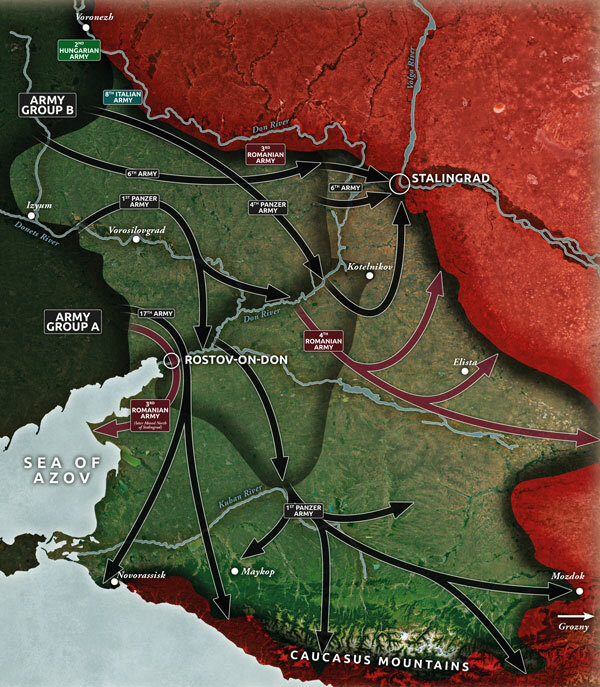 City fighting happened in the lead-up to Stalingrad, like Sevatapol, Voronezh, and Rostov-on-Don, but all of those fights were usually overcome using German blitzkrieg and envelopment tactics. Stalingrad was different. The city sprawls up and down the Volga River in a 25 miles long and only 5 miles wide, so envelopment wasn’t really an option. This meant that a frontal assault had to be launched. Initially the German attack made its way, securing the southern suburbs quickly, before encountering difficult spots in the industrial areas. The delay allowed Soviet reinforcements to flood into the factories from across the Volga. The fight for these buildings were bloody and costly as the soldiers fought room-to-room. Some of these buildings became legendary, such as the Red October Steel Plant, the Dzerzhinsky Tractor Factory, and Pavlov’s House, among others. When producing Iron Cross and Enemy at the Gates, we wanted to give you the opportunity to refight the battles for these iconic buildings. 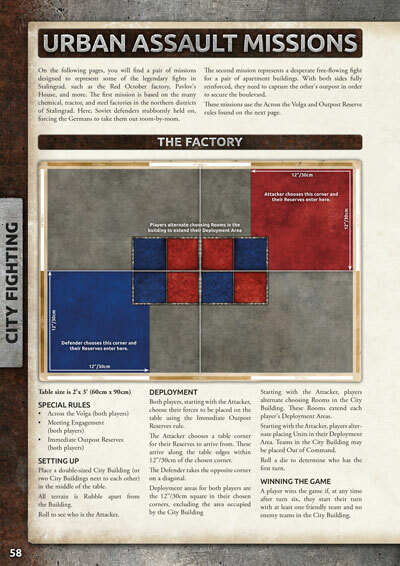 To that end we’ve added some special city-fighting rules and missions. 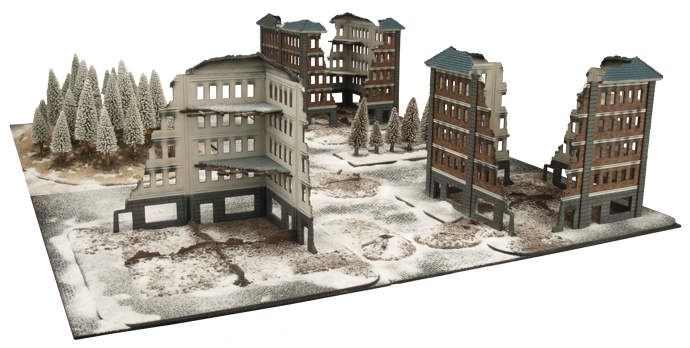 One of the most exciting new releases for the East Front books is the new City Building plastic kit. Each pack will come with everything you need to make one city building for your table. 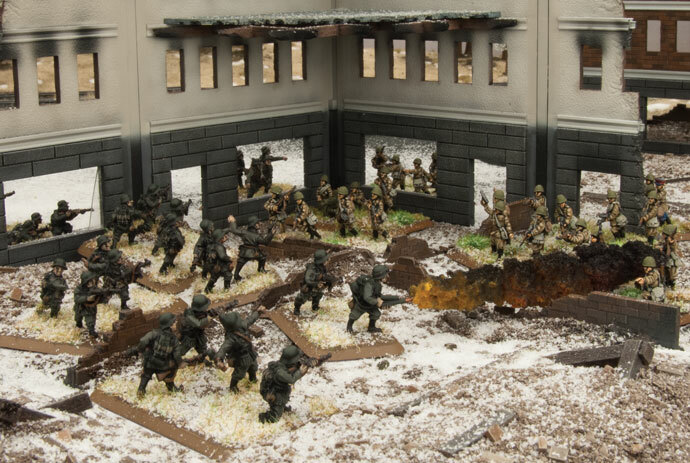 You can either add these to your normal tables and play using the usual terrain rules, or you can try out one of our zoomed-in Urban Assault Missions that use a streamlined set of rules that will help keep the you focused on the action instead of the rulebook. 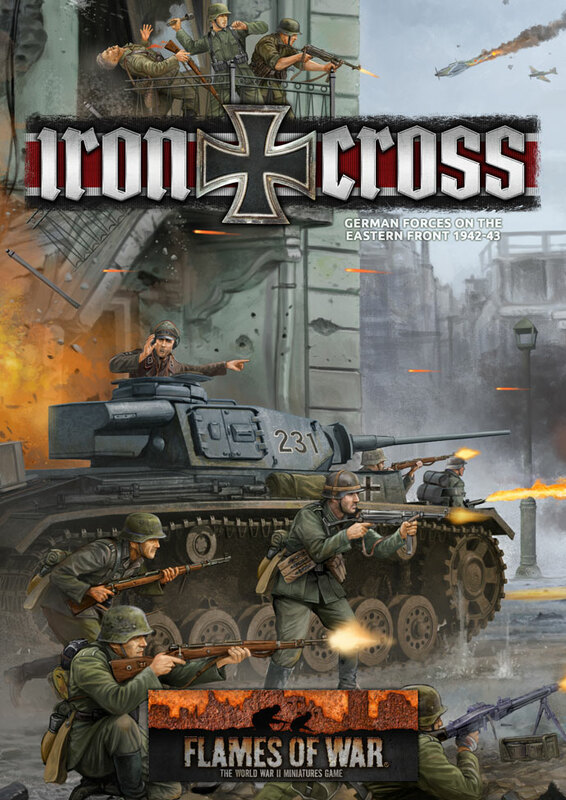 Iron Cross and Enemy at the Gates each have two special Urban Assault Missions inside, for a total of four different missions. Each are loosely based on a fight that took place in Stalingrad, but they are designed to be useful in any city fighting environment. So, that’s Iron Cross in a nutshell. 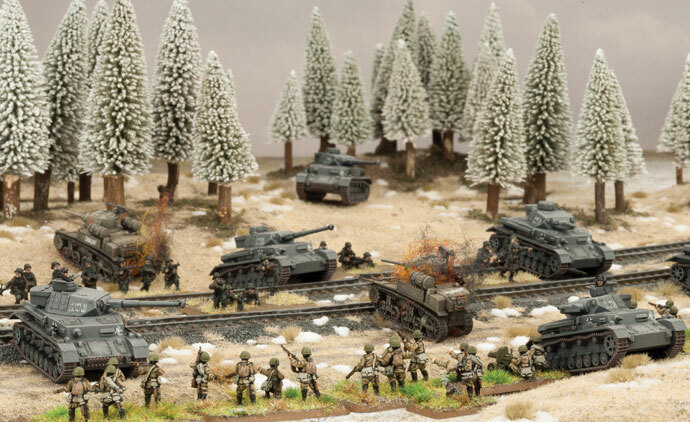 You’ll have lots of high-quality German forces to command, from highly mobile and hard hitting armoured formations, to inflexible and heroic Grenadiers equally assaulting and holding against Soviet forces on the East Front. I’m excited to get my city table ready for my StuGs and Grenadiers, but more on that later!